In recent times, we have featured a variety of posts to give you the inside scoop on blogging. We’ve detailed everything from blog post ideas to boost business, to why it’s necessary to have a blog in the first place. After publishing these posts, we received a number of inquiries all asking the same question. How can I add a blog to my site? You ask, we answer. The key to all of your blogging needs come in the form of one single-vowel word – Tumblr. To start, let’s talk numbers. 138.9 Million. That’s the number of blogs Tumblr currently hosts. 62.4 Billion. That’s the number posts that have been shared on Tumblr. How is that for credibility? 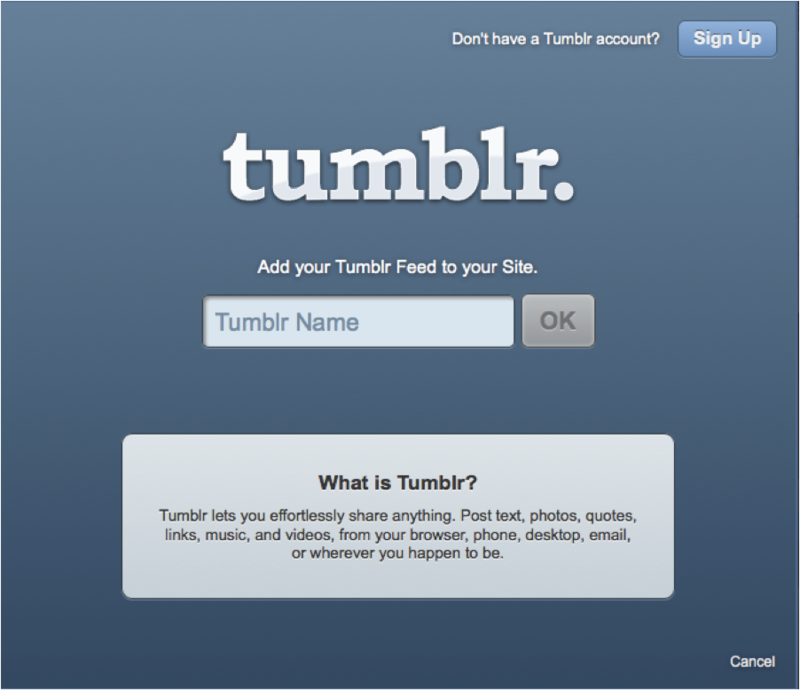 Founded in 2007, Tumblr is a blogging platform that allows you to upload text, photos and links quickly and painlessly. Now with iOS and Android apps, Tumblr’s functionality allows you to update your blog anywhere (or at least where you have cell service or Wi-Fi). Not only is it completely customizable, but also it’s free. How do I add Tumblr to my site? 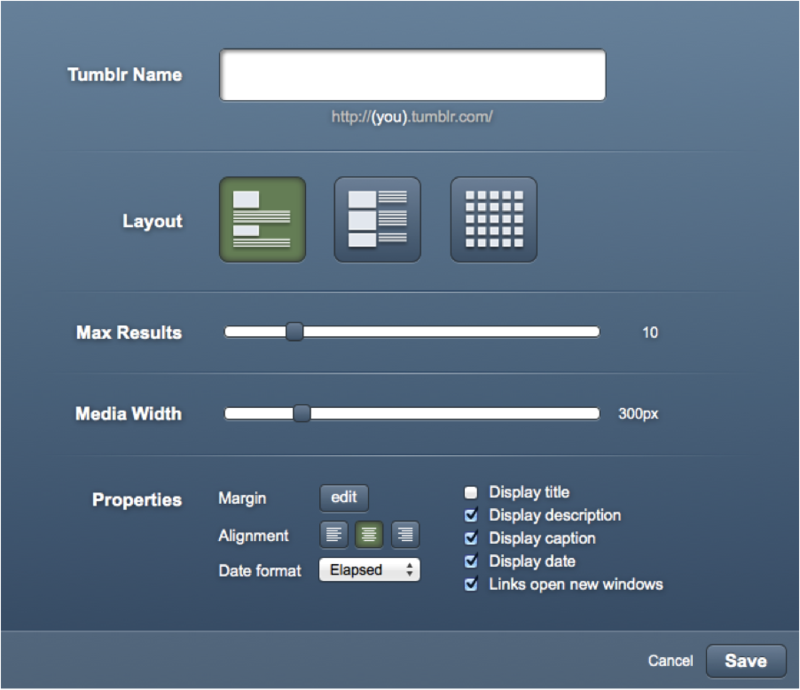 Adding your Tumblr blog to your site is easy. While in your Yola Sitebuilder, hop into the widgets tab and click “Media” on the left. From there, simply drag and drop the Tumblr widget to the area of your choice. 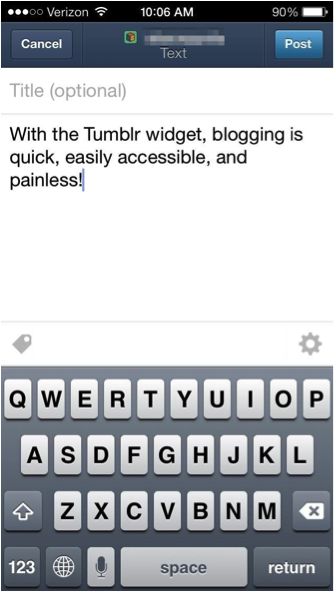 The widget will ask you to add your Tumblr name. If you don’t have a Tumblr account, no need to fret – signing up is easy. Simply click “Sign Up” in the top right, choose a username, and you will be set up with an account in seconds. Deciding on how many result should show up at a time, or how you want your date formatted? After you’ve added Tumblr to your site, click “Edit” on the top left of your widget to customize your layout and properties. Once your Tumblr widget is customized to your liking, your blog will be ready to go., Publish blog posts from Tumblr.com on your desktop or from the Tumblr iOS or Android app from your phone or tablet with ease. Your Yola site will automatically update – worry free. How do I optimize for SEO? At this stage of the website building game, you know that SEO is key. Any move you can make to boost your search engine rankings is for the better. One imperative fact to note in when it comes to SEO is duplicate content negatively affects your search engine rankings. You may be thinking now, how does this affect me? Even though you’ve integrated Tumblr into your website, the same posts will also be published to your Tumblr page – thus creating duplicate content. Fortunately, we have a quick fix to prevent this from dragging down your search rankings. Login to your Tumblr account and click on the gear on the top right, bringing you to your settings. Once you’re in settings, click the tab for your blog on the bottom left-hand side. From there, scroll to the bottom of the page under “Directory” and un-check the box entitled, “Allow search engines to index your blog.” Click save, and voila! Duplicate content will no longer be a problem. The Tumblr community will still see your posts on your Tumblr page, but the great value of your content and of improved search rankings will stay with your website. You could opt for having the two separate, however, you may have a challenge with driving traffic as the two sites will compete with each other for the same keywords. This will also require you to optimize for search engines on both pages. And that’s twice the work! So to make it easy, we recommend to keep your blog indexed on your website with the trick mentioned above. If you don’t have a website, it’s easy to get started. Remember, search engines love fresh, unique content. Don’t be afraid to use your iOS or Android app to update your blog on the go. We hope these tips put you on the right track, and set you on the right foot for proper search optimization. Let us know how Tumblr works out for you. I have a tumblr but this is the first time that it can be easily add at yola. Yola really knows the needs of their users.